Garlic Lovers!! Just the right amount of garlic added to our #1 award winning recipe. 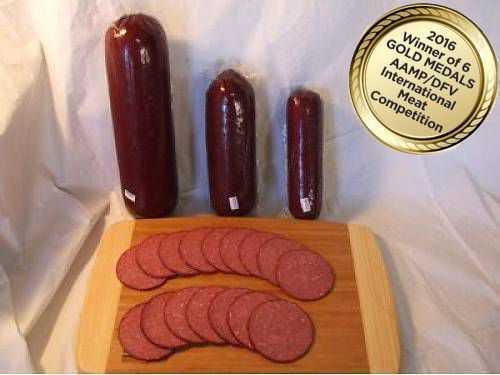 If you like garlic you will love this summer sausage. Made with lean Beef and Pork. Vacuum Sealed.